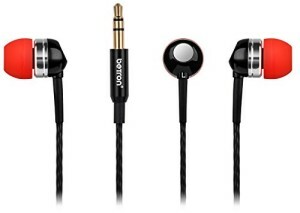 Why Betron RK300 Noise Isolating Ear Canal Headphones? Betron’s new Rk300 headphones offers a powerful sound experience with a deep and punchy bass. The new ultra small design guarantees excellent comfort while the included set of ear adapters in six different sizes , ensures effective noise blocking that will really let you feel the beat and wearing comfort. 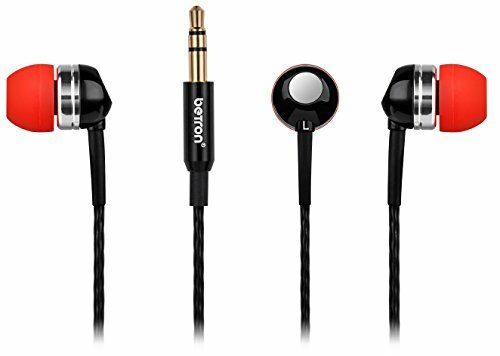 Encased in a durable metal body complete with lightweight components, the Betron Rk300 Earphones provides minimal presence when being worn. Precise Balanced Armature driver with acoustic grille design allows for a smoother and more detailed sonic presentation with punchy bass. Hear your music come to life, adding realism to your listening pleasures. Accurately contoured to create a comfortable fit for your ears in order to minimize sound leakage that can mar bass reproduction; and fit securely to your ears even during your active pursuits. Soft, ultra-comfortable and secure fitting hypoallergenic eartips are available in 6 different sizes.